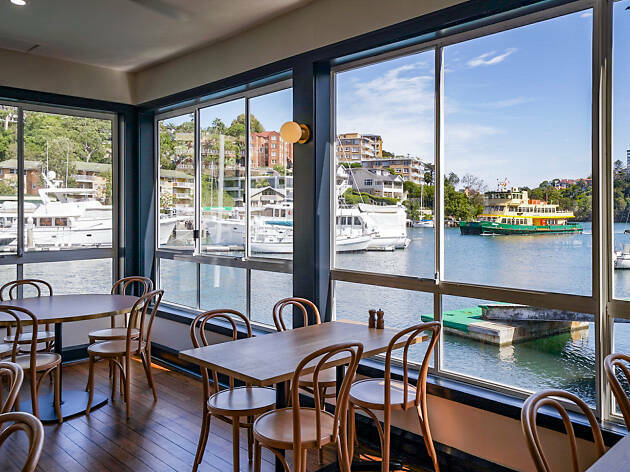 It's been a closely guarded local secret for over 100 years, but after a refurb the Mosman Rowers is ready to take its rightful place on Sydney's list of ace waterfront bars. 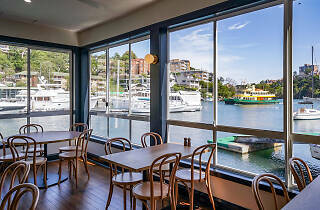 It's still very much a community club, so people are mostly here for the paddling, kayaking and rowing, but a bar and dining room that opens out onto Mosman Bay is a strong sell for landlubbers who prefer to look at the water rather than be in the drink. At the shoreline is Archie Bear, a 100-seat café and restaurants with 270 degree water views that opens for morning coffees and breakfast, moving onto drinks and lunch, or dinner out on the deck. Getting nippy? They've also got a fireplace for winter waterfront toasting. Ground floor is reserved for the Rowers Bar with 11 beers on tap (newbies like Young Henrys, classics like Reschs), easy snacking and a historic, nautical design scheme. The crown on this three-level gem is the Members Gallery, so if you're planning a lifestyle shift to the leafy north, maybe it's worth joining in an official capacity. For everyone else, remember you'll have to sign in, but if you live outside the old 5km radius it's free to enter. What's a club without weekly specials. The traditions continue with a 4-6pm happy hour on weekdays, $12 Spritzes for a three hour apertivo window on Saturday afternoons and $20 buckets of beers on Sundays for recovery parties.